Meet the Recipients of the 2018 HSVMA Compassionate Care Scholarship! We are happy to announce the winners of this year’s HSVMA Compassionate Care Scholarship! For the third year in a row, we had the difficult task of choosing veterinary students who excelled at their efforts to promote animal advocacy and welfare while staying on course with their academic obligations. 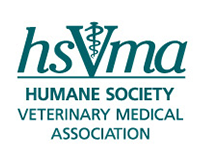 The HSVMA Compassionate Care Scholarship was launched three years ago in partnership with Dr. Gary Block, co-owner of Ocean State Veterinary Services in Greenwich, Rhode Island, and HSVMA board member president. Since then, Dr. Paula Kislak and Dr. Barry Kipperman, both HSVMA board members and California State Representatives, and Dr. Carrie Waters, our HSVMA Texas State Representative, have all offered their support to recognize these outstanding students. This year, over 40 students applied from veterinary schools in the United States, Canada and the Caribbean. They all deserve kudos for their dedication and action to promote animal welfare. Dr. Carrie Waters says the following of this year’s winners: “This year's award recipients share an extraordinary dedication to animal welfare. They have demonstrated exemplary service enhancing the lives of animals, while creating innovative paths for others to follow. Their passion is inspirational.” This year we had a tie for third place, so we are proud to share the profiles of this year's four award recipients! In the spring of this year, Jacquie applied for and received a grant from HSVMA for a World Spay Day clinic. A group of third-year vet students at Auburn, including Jacquie, partnered with Alabama Spay/Neuter to provide free spay/neuter services to members of the Birmingham community. Jacquie’s passion for animal welfare has not gone without notice. M. Daniel Givens, Associate Dean for Academic Affairs at the Auburn CVM wrote that Jacquie “has demonstrated an outstanding talent for organization and a deft hand for leadership.” The Student American Veterinary Medical Association recognized her with the 2018 John Pitts Award, given to a member who has displayed exemplary service to the veterinary profession. With such a strong foundation in animal advocacy, we are confident that Jacquie will continue to impress us with her skills as a veterinarian. 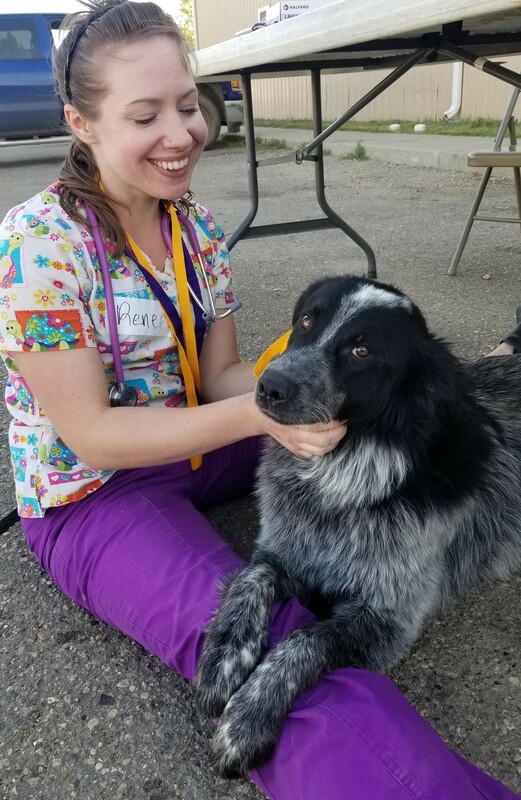 Although she hasn’t yet completed veterinary school, Montana has already made an incredible difference to the lives of pets and people in her community. As a student in the Animal Health Technology program at Vanier College, she bought together her resources from school and her connections on the Kahnawake Mohawk Territory. With the help of her veterinary professors and the Kahnawake Animal Protection department, Montana set up a low cost spay/neuter clinic in Kahnawake. Since then, over 700 animals in her community have been sterilized! In addition, she also started a microchip clinic which provides the required identification for dogs in Kahnawake. Montana has continued to contribute her time by administering microchips at these clinics. These clinics are the only available health care for pets in Kahnawake. Her initiation of these services has already made a huge impact on animal welfare. Upon completing veterinary school, Montana looks forward to bringing more medical care to the pets in her community. Working in Kahnawake, she says she “will also be able to teach and bring awareness to important health issues concerning animal health, an aspect that is greatly overlooked in my community, such as the importance of sterilization, parasite prevention, and annual generalized physical exams of small and large animals.” When Montana receives her Doctor of Veterinary Medicine, she will become the first Mohawk woman to hold this degree! 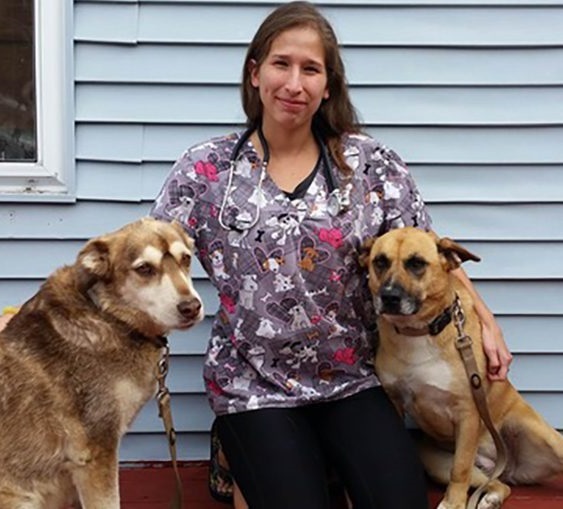 Her drive to achieve and her strong bond with her community will continue to elevate animal welfare standards in Kahnawake and establish her as a role model for future veterinarians. Renee said it best herself in her scholarship application: “My philosophy of veterinary work and animal welfare is simple. Every life is equal, and suffering should be eliminated wherever possible.” She has demonstrated this philosophy in all her activities. She has been a Class 1 New York State licensed wildlife rehabilitator with a rabies vector species endorsement since 2011, and works as a Veterinary Student Technician in the CUCVM Janet L. Swanson Wildlife Health Center. 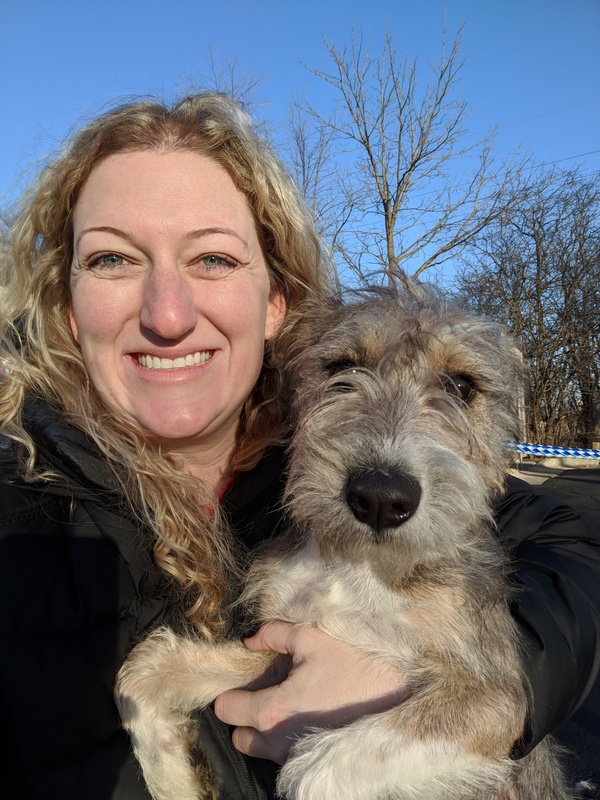 She also finds the time to volunteer at the Tompkins County SPCA and was the Lead Veterinary Assistant at the Chemung County SPCA Shelter Outreach Services (SOS) clinics. SOS is a non-profit organization that provides high quality/high volume spay and neuter services to the Finger Lakes region of New York in collaboration with the Cornell vet school. As an award winning public speaker, Renee has plans to continue advocating for animals and providing the expertise required for giving animals a voice. Currently, she is helping organize and the 2018 HSVMA Animal Welfare Symposium at Cornell University CVM in October, and there’s no doubt she will help make this year’s event a success! Click here to read about last year's winners of the HSVMA Compassionate Care Scholarship. The 2019 HSVMA Compassionate Care Scholarship application will be available next year. Contact [email protected] with any questions about the program.